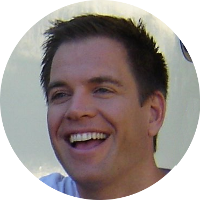 Michael Weatherly is an American television and movie actor who is best known for his role as Tony DiNozzo on the CBS hit television show NCIS. In 2016, Michael Weatherly left NCIS to star in the new CBS television series Bull, a show loosely based on the early career of talk show host Dr. Phil McGraw. Michael Weatherly is the uncle of television and movie actress Alexandra Breckenridge. She is probably most notable for her roles in the television series American Horror Story and The Walking Dead. A number of Michael Weatherly’s ancestors were 19th century immigrants from Ireland, but perhaps more famous kin can be found by expanding some of his ancestry back into 17th century colonial America. Many online genealogies claim the parents of Henry Clay Stone, 2nd great-grandfather of Michael Weatherly, was the son of Isaac Stone and Nancy Anne Weedon. If true, this would allow Michael Weatherly’s ancestry to be traced back further generations. Unfortunately the claim is false. Henry Clay Stone was the son of Issac Stone and Mary S. Voss Sterne, daughter of William Sterne and Jane Voss. Also, according to an article in the William and Mary College Quarterly (1935, Vol. 15, No. 2, p. 190), Isaac Stone and Nancy Anne Weedon died without issue.